Konstanz, Germany, 28 March 2019 – With the launch of Hyperstone’s latest X1 low-power SSD controller comes the release of Hyperstone’s newest technology – FlashXE® eXtended Endurance. FlashXE® is a feature set that comprises of extensive calibration, error correction recovery, error avoidance and refresh mechanisms in order to ensure maximum reliability of NAND flash-based storage systems. 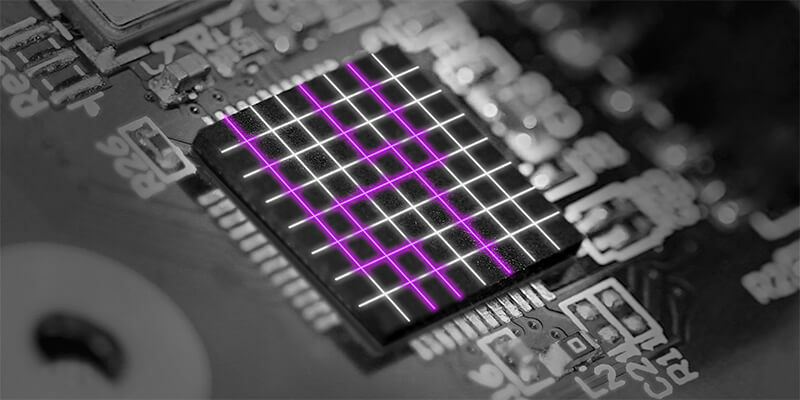 As cost of NAND flash memory is reduced, due to higher densities and new technologies like 3D NAND have entered the market, the technology and algorithms required to manage this medium need to advance. Consequently, error correction and complex flash management requirements have never been higher. The FlashXE® ecosystem addresses these issues through an environment of different features, mechanisms and algorithms to prevent, detect and correct errors. The collective of features and process’ start to optimize long before errors occur or the system is even assembled. A qualification process characterizes each supported flash type over its lifetime and different operating temperatures. This knowledge is then implemented in the basic flash support of the firmware and delivered with the controller. The next phase, during operation, ensures the controller continuously adjusts the voltage levels of the read-out circuit over the flash’s lifetime. The controller also takes further steps to prevent errors such as dynamic data-refresh, near-miss ECC and read disturb management. In the subsequent phase, in which errors occur in spite of the precautions mentioned before, there is a strong error correction in two separate modules, one being based on a BCH-code as well as the new generalized concatenated code (GCC) with support for soft-decoding. “There are various state-of-the-art features implemented into different phases of the controller design and operation that guarantee a very high reliability in storage solutions” claims Sandro-Diego Wölfle, Product Manager at Hyperstone. “Ultimately, our aim is to increase the reliability of flash memory to a point where all storage suppliers feel safe knowing their systems are supported by a Hyperstone controller”. The FlashXE® collective is available with Hyperstone’s latest flash controller, the X1. The X1 is a highly efficient, low-power SSD controller for rugged and industrially demanding NAND flash based storage solutions.